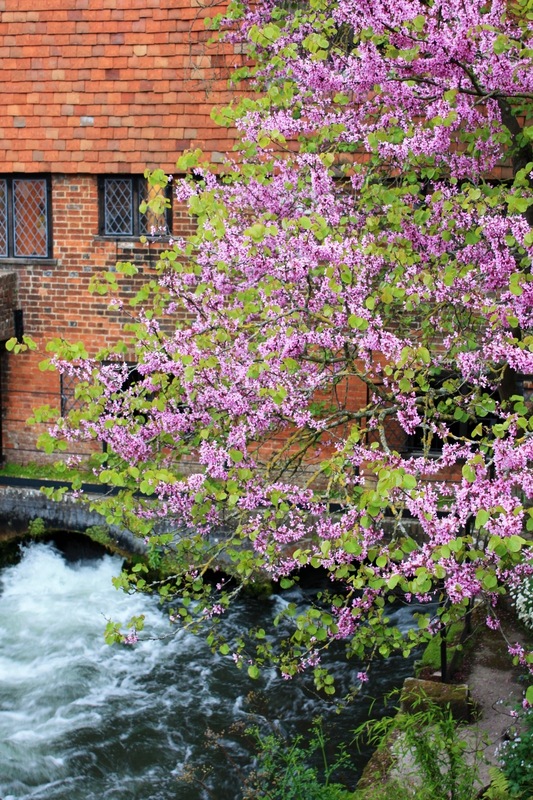 Pictured here outside Winchester City Mill, Cercis siliquastrum, makes an arresting sight. Despite its oriental good looks, C. siliquastrum hails from Southern Europe and Western Asia. Uniquely, the rose-pink, pea-like flowers appear in clusters along older wood in late spring. A long standing myth suggests that Judas Iscariot hanged himself from a tree of this species. This belief is related to the common name ‘Judas Tree’ which is a corrupted derivation from the French common name, ‘Arbre de Judée’. I think it’s about Cercis siliquastrum; C. canadensis it’s in flower now here and they are as well an ‘arresting sight’, like you very well said it.